BEEF Magazine is running a poll asking the question, What’s The Most Important Innovation In Genetics? Artificial insemination and EPDs (national databases) are currently the most popular answers. But, these two innovations relied on one another to be successes! Artificial insemination would not be as beneficial if we could not identify the outstanding sires that deserve to be used in herds across the country. 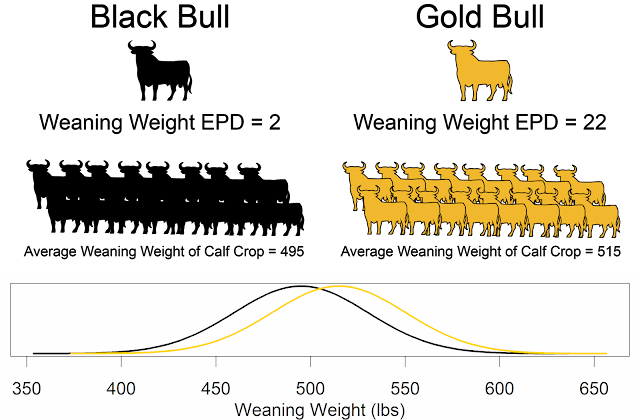 EPD evaluations would not be nearly as accurate if we didn't have huge numbers of progeny for popular sires. Plus, these progeny are born in very different environments across the country, so we are able to accurately account for environmental effects in EPD predictions. These two technologies rely on each other and work together. So, my answer is both! As DOC HARRIS said, the important word in the poll question is "was". If the question used "will be" I think the answers would be different. 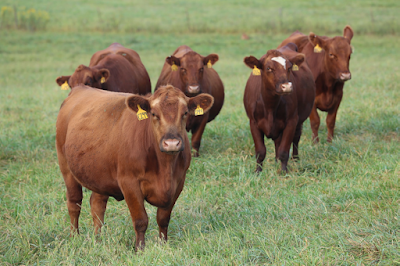 As new challenges arise in the beef industry, I will be keeping an eye on the solutions offered by genomics.